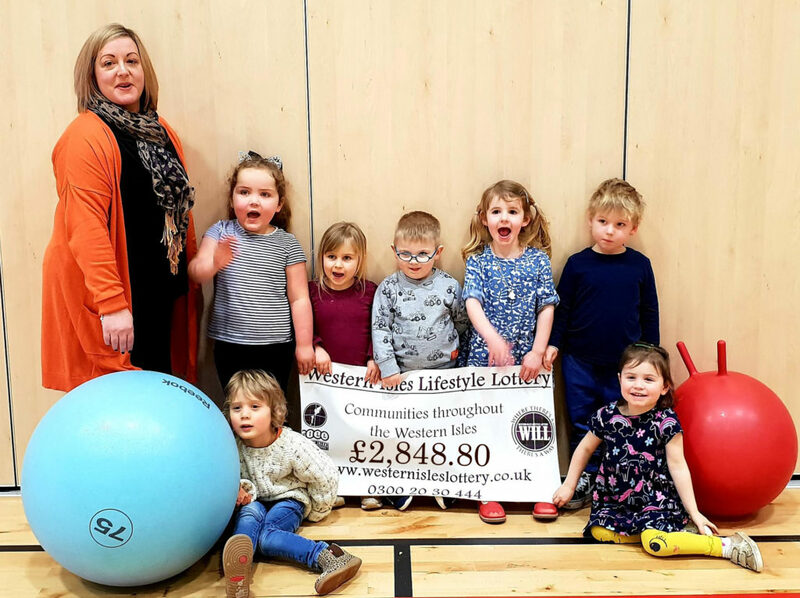 Children in North Uist were delighted after Claddach Kirkibost Centre received a cheque for £2,848 from the Western Isles Lottery. The funds will be used to buy soft play equipment and to refurbish a room in the centre to provide a year-round indoor play area. 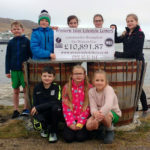 Other organisations to benefit from the lottery are: Balivanich Playpark -£1,362; Sgoil Lionacleit Pipe Band – £1,306.80; Uist Volunteering -£300; and Cuimhne which received £2,398 to develop a sensory garden. The Western Isles Lottery has proved popular in Uist and the area is on target to receive £13,000 in 2019. Musicians will be jamming in Taynuilt Sports Pavilion on Monday February 11 from 6.30pm with everyone welcome to attend. The event poster reads: ‘If you’d like to join us to play and/or learn drums and percussion, you are most welcome. Oban Communities Trust is hosting the Community Benefit Society annual general meeting and celebration at the Communities Hut, Rockfield Centre, today (Thursday, February 7). Tea, coffee and cakes will be served. Everyone welcome. A crowdfunding campaign to save Kinloch Castle on the Isle of Rum has raised almost £1,500. The fundraiser, which will have just days left at the time of going to press, aims to raise £10,000 to help pay for on-going costs, with a view to fully restore the castle in the future. Tobermory RNLI, the Scottish Ambulance Service and Stornoway Coastguard worked together to help an injured fisherman on Tuesday January 29. Tobermory RNLI’s weekly training was interrupted following a request from the Scottish Ambulance Service to assist. With the Tobermory Coastguard Rescue Team already on scene, the Elizabeth Fairlie Ramsey went alongside the fishing boat and the crew helped coastguards to transfer the injured man onto the lifeboat. The fisherman was taken to Tobermory harbour pontoons where he was transferred to the care of Scottish Ambulance Service staff. He was then transferred to the Stornoway Coastguard search and rescue helicopter at a landing site close to Tobermory High School. Controlled explosions are being carried out in Dunbeg as part of work to build 600 homes between the village and Ganavan. The first blast was scheduled to take place on Monday February 4 with the next today (Thursday February 7). The remaining explosions will be on Thursday February 14, Thursday February 21 and Thursday February 28 between 10am and noon and 2pm to 4pm. A spokesperson said: ‘These operations are required in areas of hard rock on the higher ground between MacVicar Court and Lochnell Road to break up material which cannot be removed by mechanical equipment. Tetelecoms company Talktalk is to close its site in Stornoway, making all 59 staff redundant. Western Isles politicians and Comhairle nan Eilean Siar have called on the Scottish Government to intervene. TalkTalk say it is transferring its Stornoway operation to Manchester with the loss or transfer of 59 jobs. And at First Minister’s Question Time in Holyrood last week, the MSP asked Nicola Sturgeon what the Scottish Government can do to assist the workforce that will lose their jobs in the summer. The First Minister responded by saying she ‘was very concerned to learn of the developments at Talk Talk in Stornoway and the impact this will have on the employees affected, as well as on the local community and the local economy’. Mrs Sturgeon added the government is ‘committed to doing everything possible to address this situation urgently in the hope of obtaining a positive outcome’. Councillor Crichton added that, with the council’s partners, they would be implementing Partnership Action for Continuing Employment procedures. The Appin branch of the Scottish Women’s Institute held its annual quiz night on Friday February 1 in Appin Village Hall. The winning team at the well-attended event was Sheila Lawrie, Marianne Steemen, Sandy Lawrie and Richard Bourne. Runners-up were Rhona Taylor, Sarah Keating, Vivienne Dunlop and Brenda MacLeod. 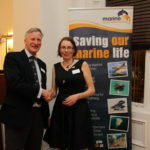 There was also a raffle and tea.